1. The way the shades of vibrant blue and dark blues in this piece by Prudence McNamara are marbled together is just magic and pairs wonderfully with the pale pink. 2. I find this piece by Kerri Blackman Fine Art is interesting in that there is so little red, yet if there weren’t any at all, it would be an entirely different piece. It’s also as if the black, instead of being the background, may actually be the foreground. 3. This abstract art piece by Dang Art and Style is so wonderfully textured, it almost looks as if you could feel the colors. 4. Fintan Whelan‘s piece is pure chaotic beauty. It’s like a Rorschach. I keep seeing things in it, like a picture within a picture, but more abstract art within abstract art. 5. 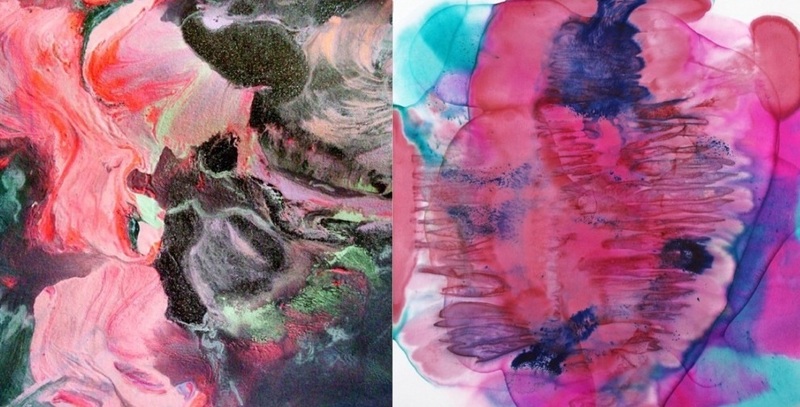 Blake Brasher‘s work is so happy and light, and the white streaks dancing throughout the watercolors is just electric. It should be noted that despite this link taking you to his web page, the original is still for sale on Etsy. 6. This abstract art by Garima Designs is a wonderfully done reflection of a lily pond. To be able to paint something in such an abstract way and to still make it look just like the subject matter takes talent. Bravo. 7. 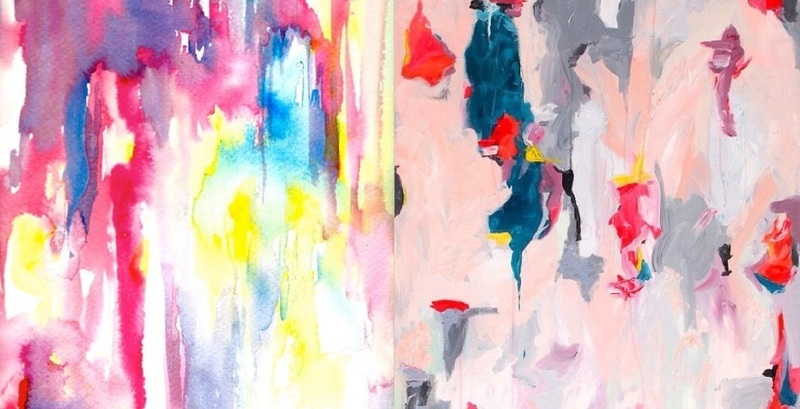 The vibrancy of the running strikes of color down the paper in this piece by Lana’s Art is intensely fun. They bleed together perfectly, leaving interesting areas of negative space in between all that is going on. 8. The shapes and the way the colors fit together in this abstract art piece by W Reynolds Orr is so unique. I especially enjoy the subtleties in the pale colors of the background. 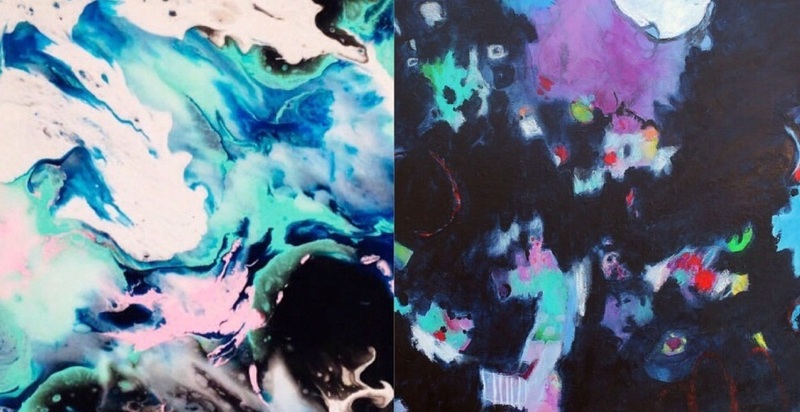 If you enjoyed these wonderful pieces of abstract art, then check out our other featured finds list which features even more here. Also, be sure to show your support by visiting some shops and sharing this post with anyone you think might enjoy it. Have a favorite? Leave a comment below! Beautiful works and equally beautiful words to describe each! I had goose pimples reading this. Each painting is rich with color and style. Thanks for show casing my water lily pond abstract on on your wonderful blog.